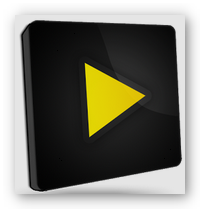 Grab the best free video downloader app for android from Google Play store. Read the review to know the highlights and limitations of each free app. Video playback is one of the capabilities that make or break any device. Each gizmo tries to outdo their competition by improving the video resolution and playback capability of their respective products. What makes this feature more interesting is that via Google Play store, you can download a free video downloader app for android that will allow you to download shared videos from the internet and enjoy watching it on your android tablet or phone. When search for a free video downloader app at the Play store, you will see a lot of paid and free apps. Hence, we have tried each of it and came up with what we feel is worthy of your consideration. Videoder app tops our list for the best free video downloader. This app is very easy to use and has a “download resume feature” which allows you to resume your download from the point where it stopped due to connectivity factors such as poor network connection. It also gives you a chance to choose the video resolution depending on where you want view it. If you love watching anime and wish to download it on your android device, then Video Downloader might be the best free video downloader app for you. This app is able to download anime videos from GoGoAnime and from other video sharing websites including Vimeo, Dailymotion, Bing videos, Funny or Die, Metacafe, Blinkx, LiveLeak, Videobash, Veoh and even some adult video websites. Similar with Videoder, Video Downloader also has a download resume capability. It also supports content playback and management. Note: Downloading videos from YouTube is not supported dues to Google’s terms of service. This free video downloader app does not only allow you to download videos from various video sharing websites but it can also download images and PDF files. MediaClip PRO has a “web browsing” capability that enables you to bookmark your favorite sites for easy access. Just like Video Downloader, it does not support grabbing videos from YouTube due to Google’s policy. What are the limitations of using free video downloader app? Aside from the fact that installing any app consumes memory space and may reduce the performance of your android device in terms of speed, its inability to download videos from YouTube in accordance with Google’s terms of service is a major letdown because YouTube happens to have the largest shared video collection to date. Not to mention that grabbing YouTube videos is the most probable reason why you want to install a free video downloader app in the first place. Luckily, AVGO offers the best solution to this tight spot. By downloading Free Video Downloader on your computer, you will be able to download videos from almost all video sharing websites (like YouTube, Hulu, Vevo, Dailymotion, Facebook and so much more) then convert it your android device so you can watch it anytime and anywhere without going online. Also, since you use this software on your computer, it will not eat up any memory space on your device and you will have a backup for all the videos that you have downloaded which will come very convenient should something untoward happens to your android device. TIP#2 You may also use Free Video Downloader to download the latest music videos (YouTube, Vevo, WorldStarHipHop, etc.) from top music artist and convert it to MP3 format so you can sync it to your android music library. 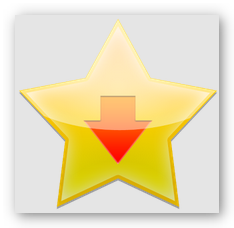 Bonus: Free Video Downloader can convert to the most common audio/video file format and supports Apple devices as well. 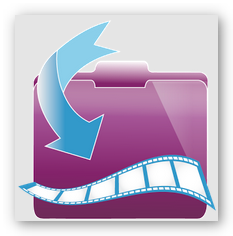 Get a copy of AVGO Free Video Downloader now! « Which is the best free Ringtone App for iPhone?